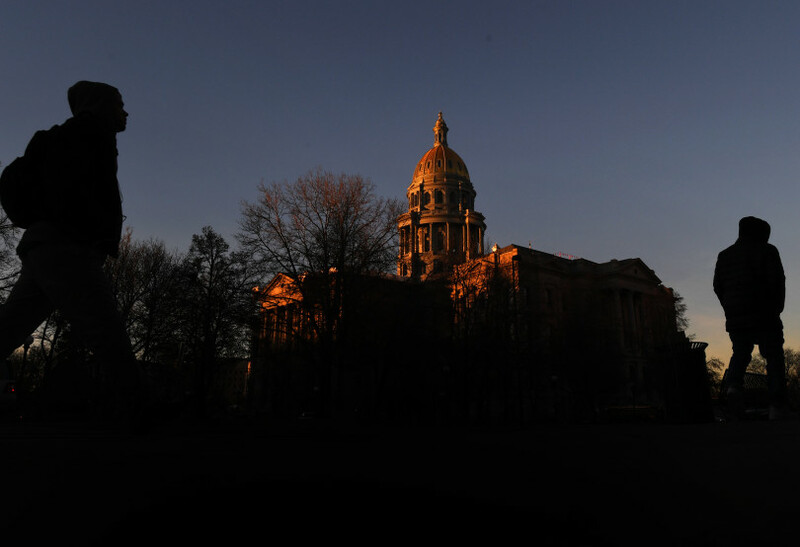 The morning sun rays light the Colorado State Capitol on Jan. 4, 2018 in Denver. Colorado lawmakers return to the Capitol this week for a 2018 legislative session that’s threatening to derail before it even starts. A cloud of political controversies and steep policy challenges is making this year’s term one of the most unpredictable and uneasy in recent memory. The Republicans who control the Senate and the Democrats who lead the House are entering the session with divergent policy agendas. On two of the most consequential and difficult issues — overhauling of the state pension fund and improving the state’s roads — neither side sees eye to eye on solutions, let alone whether it’s a priority. The backdrop for the 120-day term, which begins Wednesday, is likewise poisonous. An October special session ended in partisan finger-pointing,and it’s an election year in which some lawmakers are even competing against each other for statewide office. Moreover, scandal plagued the offseason. An outside consultant is studying a culture at the Capitol that some believe tolerates sexual harassment after complaints were filed against four lawmakers for alleged bad behavior. A new lawmaker takes a seat after apologizing for making numerous comments viewed as racist. Others faced questions about alleged ethics violations. Another was arrested at Denver International Airport for bringing a loaded handgun through security. And a Democrat in the narrowly divided Senate changed her party affiliation to independent.